Legal documents are now available online. Simply navigate to our current auction and then click on the lot number of your choice. You will then see the legal documents download link which will take you to the auction passport website. In order to download the legal documents you will need to register at the auction passport website (registration is free of charge and only needs to be done once). Once registered, you will be able to log in and access the legal documents, and you will also have the option of emailing a set of the documents to your solicitors. 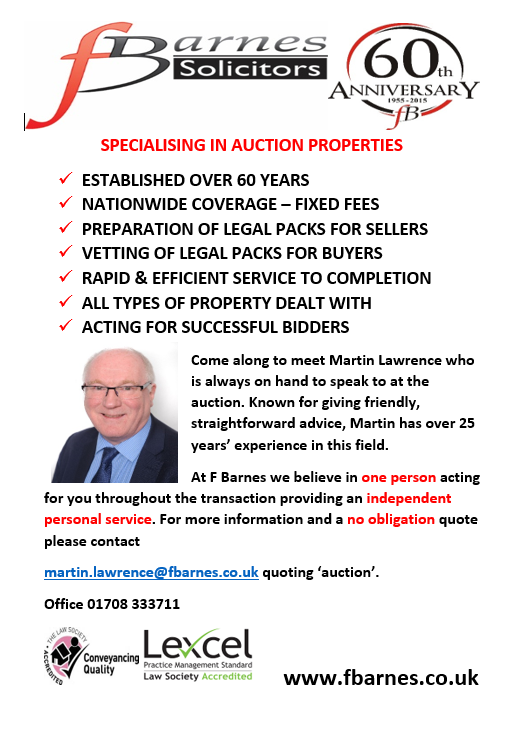 If you would prefer to have a legal pack posted out to you or if would like to discuss any of the documents contained in a legal pack then please contact us.